Faiz Foundation has decidedly been working to promote the rural children and women for their capacity building through various educative initiatives. It has two wings to navigate the development such as Free Primary Education and Technical skill. As part of expanding primary education program, it has already donated land to establish a primary school and ready to offer required land for setting up Govt. primary schools under special project. It also provides scholarships to many High School and College students who are very meritorious but can’t afford to pursue their education. 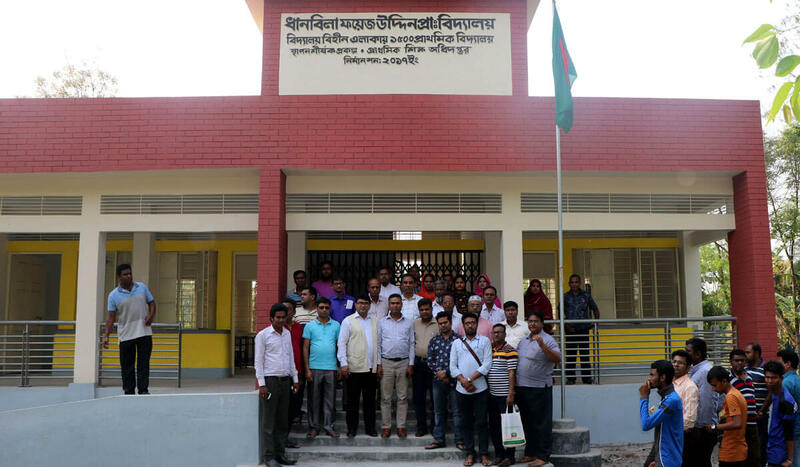 The Foundation has taken initiatives to established small Libraries initially 15 Libraries in 15 Schools of Chatmohar, Bhangura and Faridpur Upazila as Pilot scheme where the Children will develop habit of reading books, become science minded and will be growing up being ethical and honest. For increasing the habit of reading, and enlarging the profoundness of knowledge among the rural people, Faiz Foundation has founded a library named ‘Bati Ghor’ at its own premises. Apart from providing general education support, it has also designed and is performing non-formal education to the mass people. Faiz Foundation has been working to improve the living standards under its different programs for the people of Chatmohar Upazilla, Pabna.